Any minute now, the week is going to be officially over and to sweetly end it, I've baked a chocolate cake for tonight's dessert. 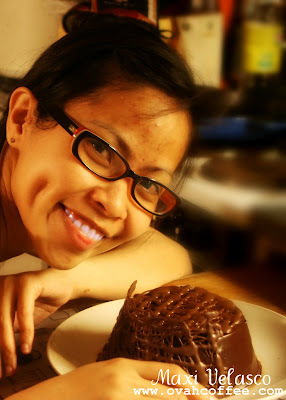 I've used my classic and favorite chocolate moist cake recipe and have kept the design as simple as possible. I've spent less than two hours [minus the cooling time of the cake] baking and putting together all its components and I am really proud with the result. 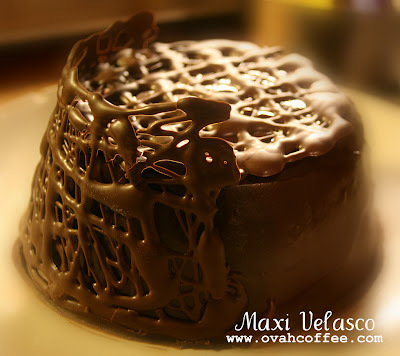 Every piece of the cake is made of chocolate which makes it so gratifyingly delicious! It's such an absolute indulgence! yum, i could eat "dozen" of that, hehe. :-[ :-[ :-[ Thank you Mon' for the nice words! Oh I bet you can! Exchange links? Wait a minute. Will try to answer that question in awhile. so nice anne!!! i loooooooveeee it!!! Thanks Ar'! Tastes really good!